As if it was ours! 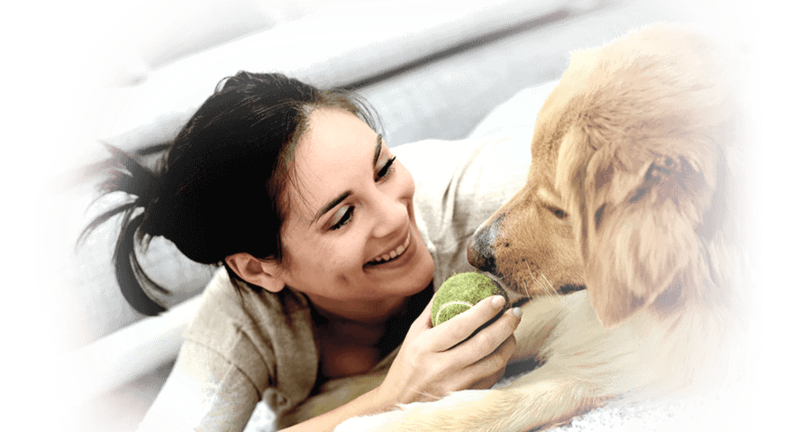 The well being and the health of your four-legged friend is our priority. 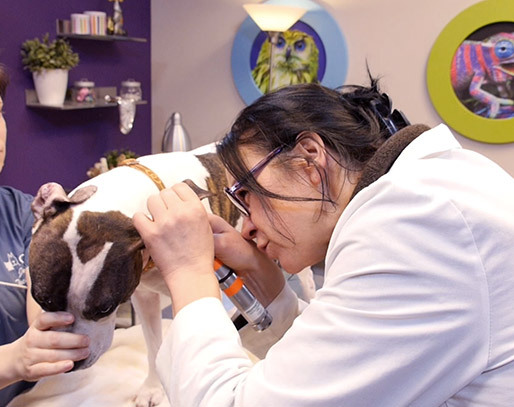 Our dedicated and passionate medical team is available every day to receive, evaluate and treat your pets depending on their unique needs. 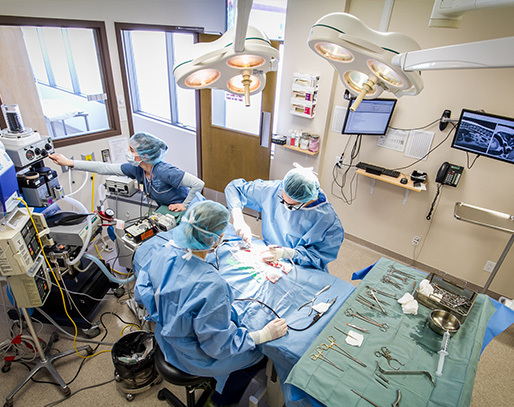 The surgery department relies on the expertise of its surgeons. Our surgeons stay up to date on the latest advances in their field and are available to answer your questions. Our Dermatology department offers a variety of services for treating and diagnosing skin diseases; including infectious bacterial, fungal and parasitic diseases. In addition, the department equally treats endocrine genetic, tumorous and ear diseases. 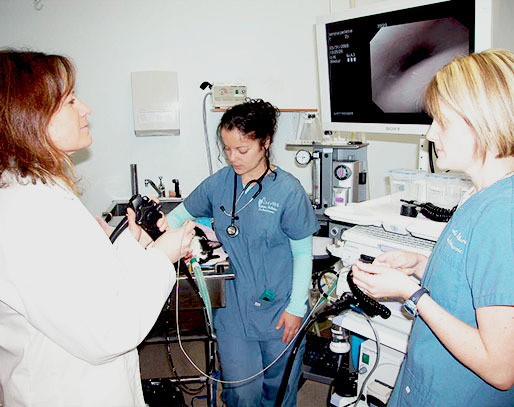 By appointment with our medical imaging specialists, we perform radiographs, ultrasonography examinations (abdominal, thoracic, non-cardiac, general soft tissues, biopsies, aspirations), as well as CT Scan examinations. 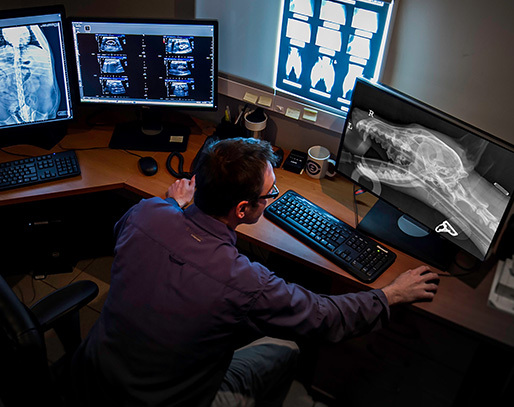 Our internal medicine department offers a wide range of services to help guide you with the management of cases requiring further investigation. The neurology department focus on the diagnosis and treatment of diseases of the nervous system, including the brain and the spinal cord. Cancer is a genetic disease more specific, a gene anomaly that controls cell growth and leads to their excessive proliferation. 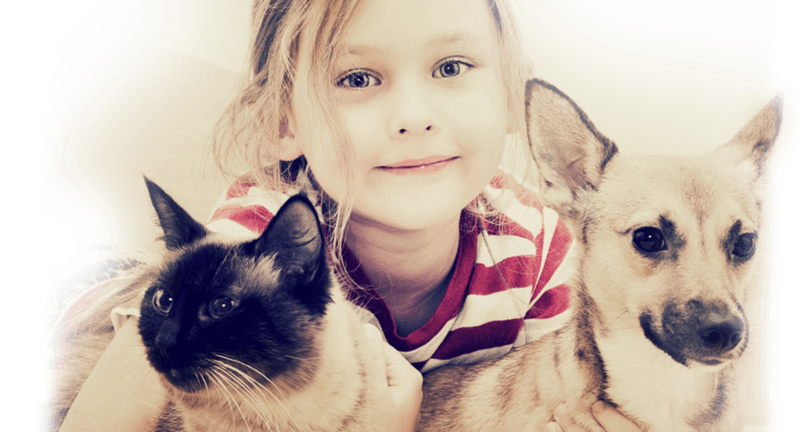 Cancer can affect 25% of the canine population and leads to the death of 50% of dogs and cats who are older than 10 years of age. By treating this disease, we aim to ensure patient comfort and prolong their life. 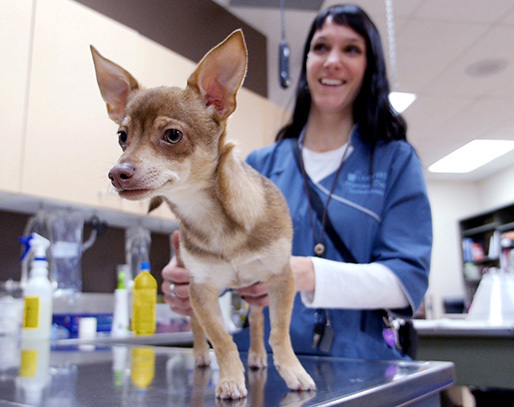 Conventional chemotherapy protocols, targeted therapies or immunotherapy vaccines at CVL as well as for referring veterinarinarians. 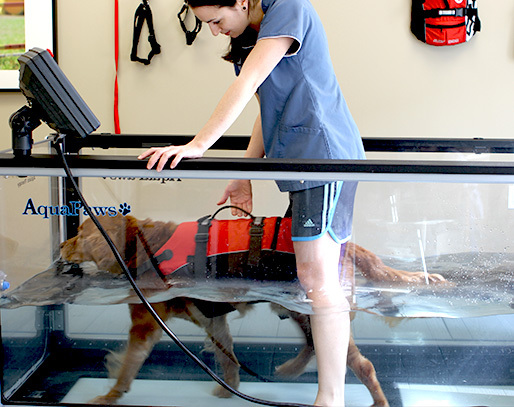 Animal physical therapy helps improve and prolong the quality of life of small animals who suffer from temporary or permanent functional limitations by using a non-invasive, global approach that reduces pain. 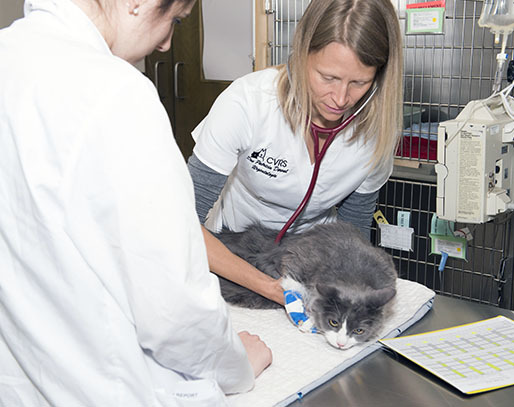 CRVR emergency services are available 7 days a week, giving you access to veterinary services at all times. 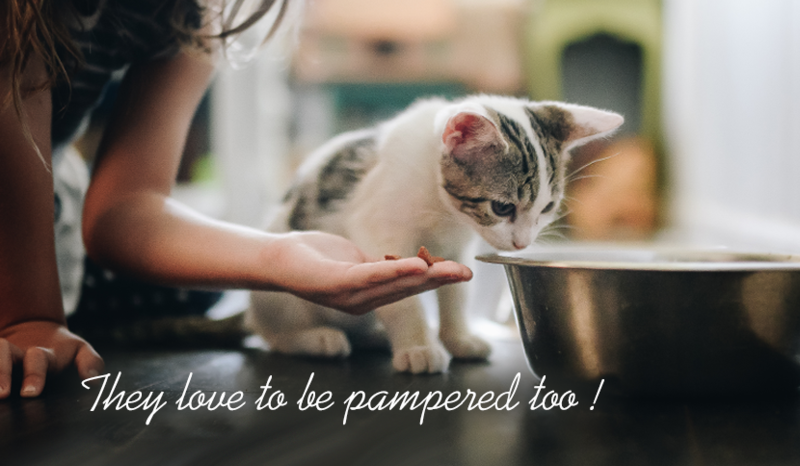 Awareness campaign : Say No To Declawing! 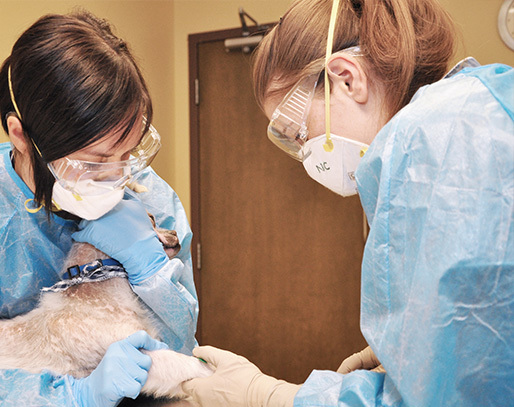 Our dedicated and passionate medical team is available every day to receive, evaluate and treat your pets.